Our San Ramon roofing representatives are always on hand to answer questions about your roofing problems. We strive to always suggest the best long-term solutions for all of our clients and customers, because we believe in earning new business the legitimate, old-fashioned way. We always appreciate referrals from past customers, because we love delivering on high expectations. 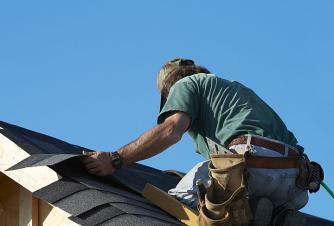 If you are in San Ramon and in need of a good roofer to provide emergency leak and gutter repairs, shingle rip-outs, or even bid a larger project, you know who to call. You'll typically find us busy repairing leaks for most of the winter, but we're always willing to work with your schedule to find a time to provide you with the best service possible. Call today to schedule an appointment for service, or to get a quote on a roof replacement in San Ramon.